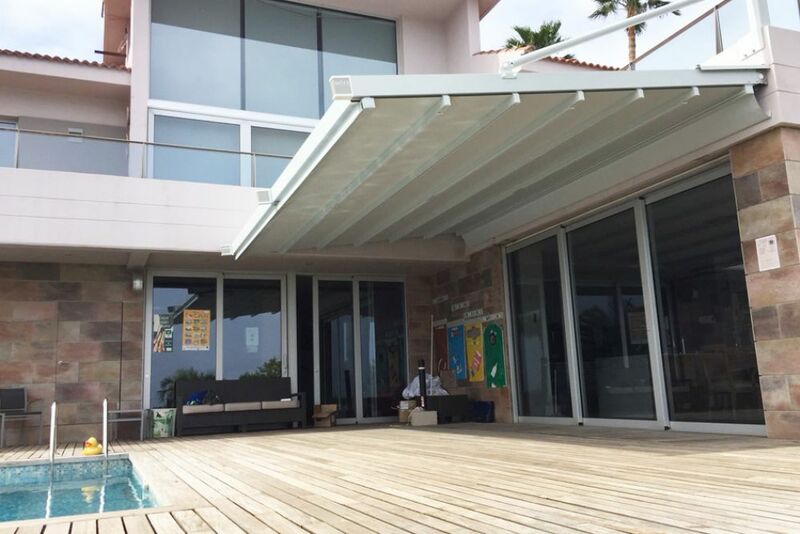 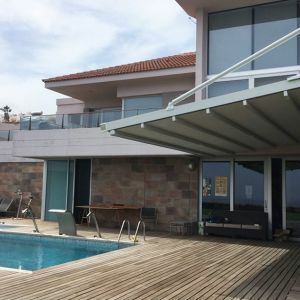 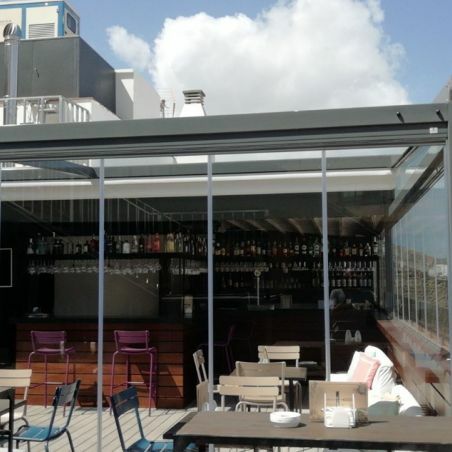 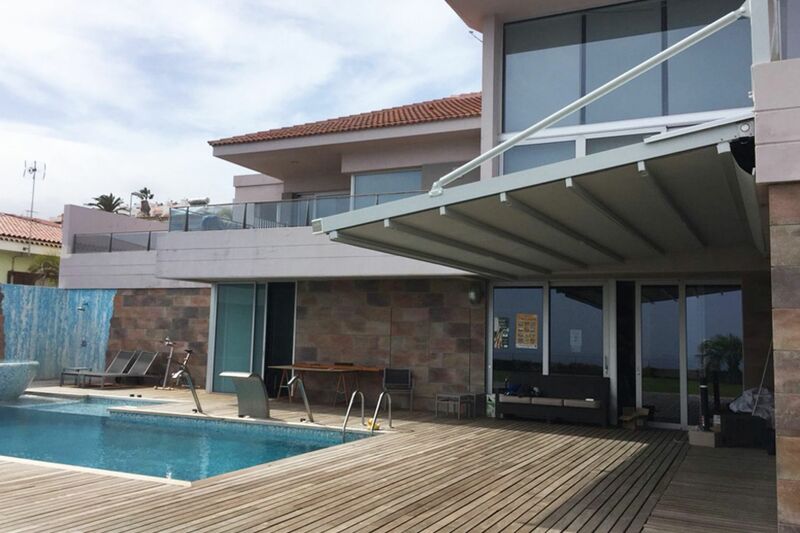 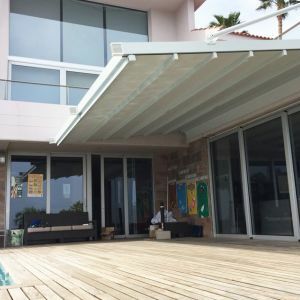 Our customer from Radazul, an area in the south of Tenerife bordering the municipality of Candelaria, wanted to equip their terrace to enjoy this outdoor space in the greatest comfort. 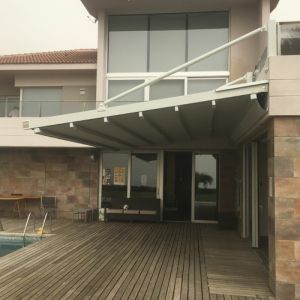 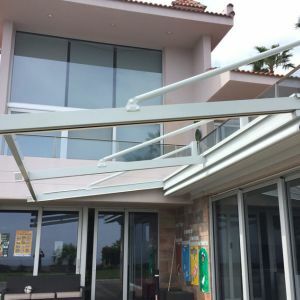 This project was based on the fitting of a Argus pergola made up of 3 guides, with straps to pillar-type supports, in order to give greater breadth to the space joining the terrace to the dining room of the home. 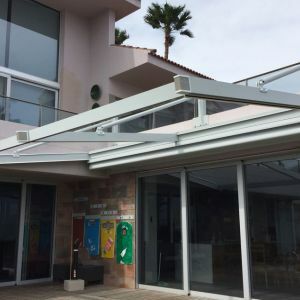 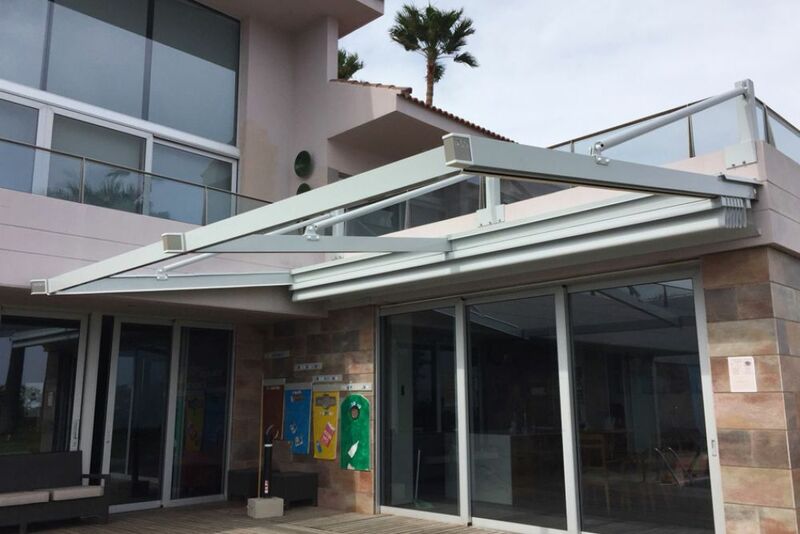 For this project, the Argus pergola was installed, attached to the wall and supported by made-to-measure straps and pillars of galvanised and lacquered steel. 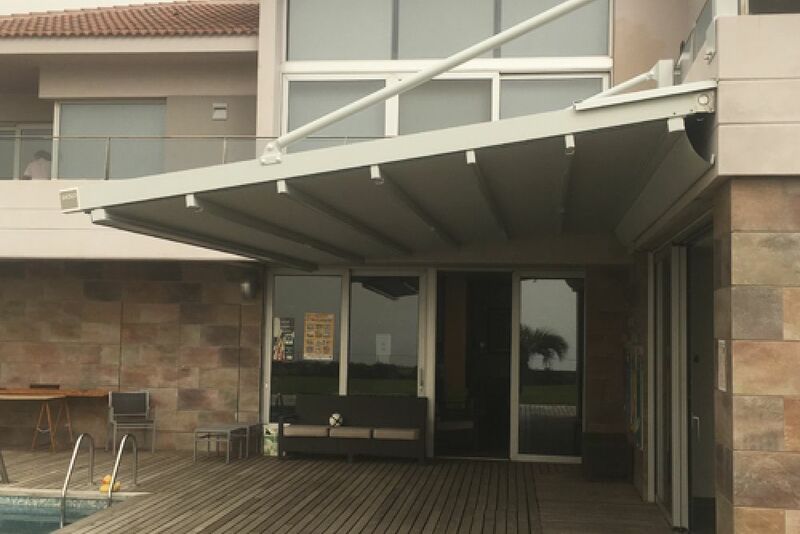 The structure is grey, with a polyester tarpaulin. 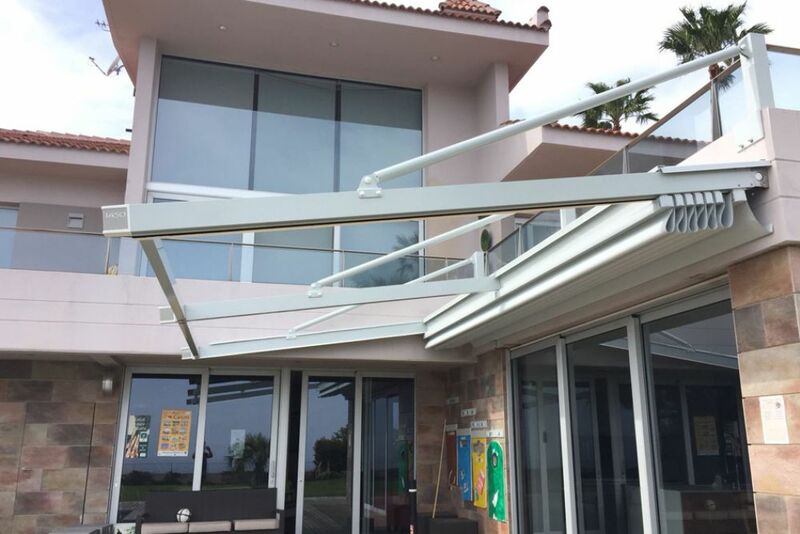 One of the add-ons used in this product is the LED lighting system, which has been fitted to the tarpaulin guides. 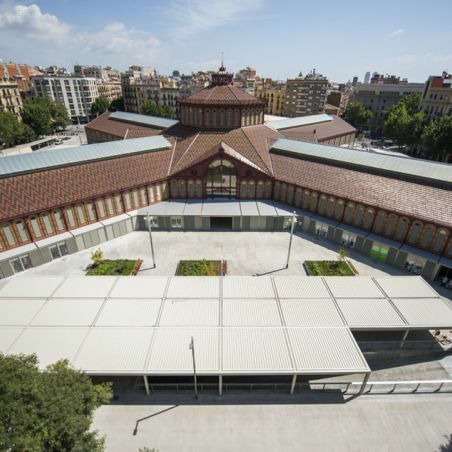 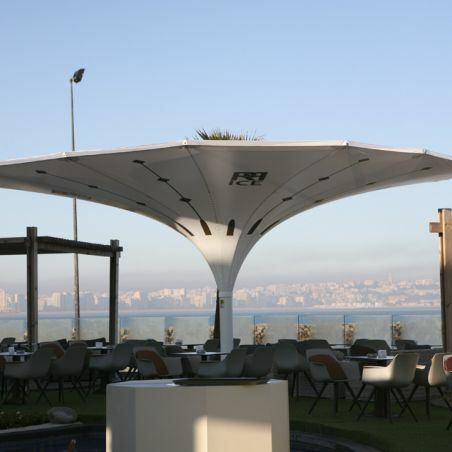 Thanks to its special structure, it leaves the whole space free, integrating perfectly into any building. 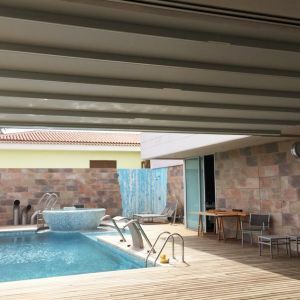 With a total of 23 m² covered surface area, with dimensions of 5.8 m length by 4 m exit. 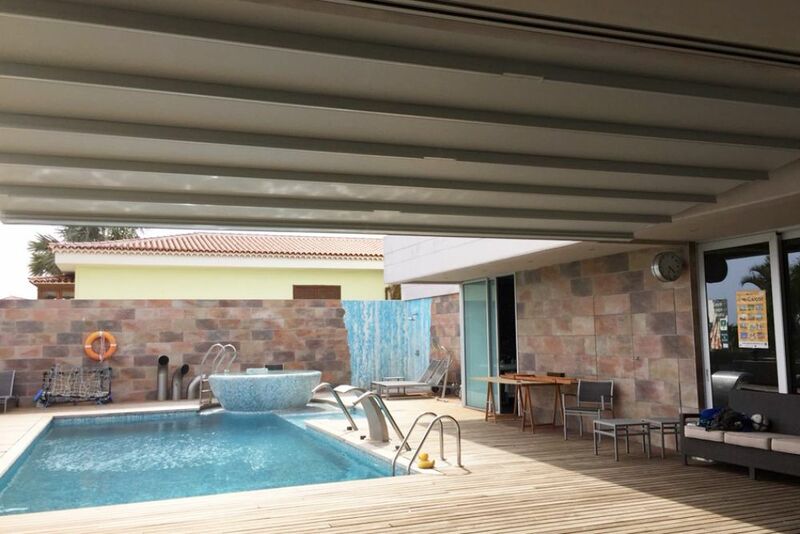 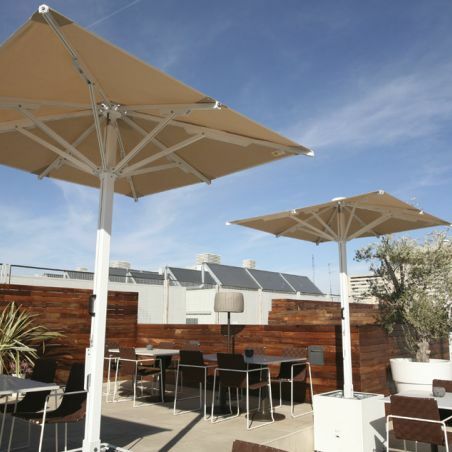 All this makes the Argus pergola a product at once functional and stylish.